The K2 Va Va Voom is their Jib Rocker specialist and we found it to be that as well as a good park kind of ride. The flat in the middle between the feet makes for a stable ride like camber but it’s still very catch free and has a fun snap to it all around the park. This is one of those Jib boards that is also fun if you look outside the jib park or even occasionally venture out to the mountain. K2 was right there in the beginning with the introduction of rocker boards and The Va Va Voom is part of that evolution. The board is flat until a few centimeters before the tip/tail making it almost a flat camber profile. It’s a very fun ride for the jib park enthusiast. 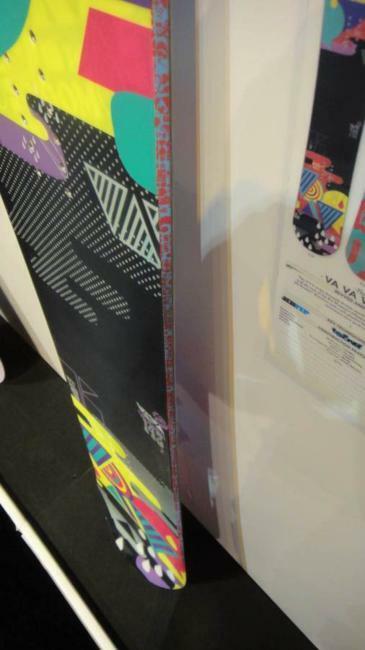 For the 2012 K2 VA VA VOOM Rocker the sizes are smaller and the nose seems to be more blunted out. We like this change because a jib board should have lot’s of effective edge on snow but still be small. The ride is still similar but we say go for the 2012 if you can. The 2012 and 2013 K2 VA VA VOOM are very similar but there have been some minor tweaks to refine the 2013. On Snow Feel: The mostly flat camber profile makes for a stable ride between the feet. 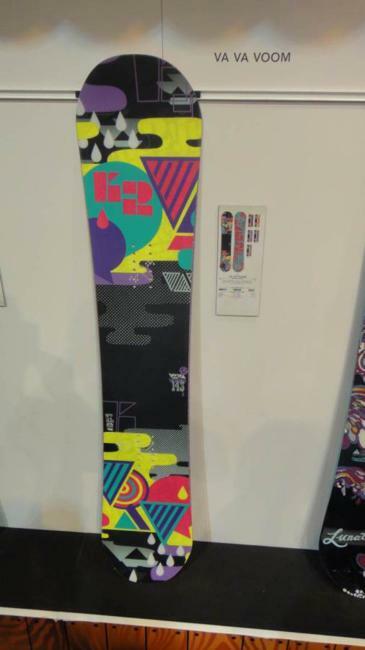 The little bit of rocker at the tip and tail make it more forgiving than a board that is 100% flat and it has a very forgiving playful feel to it. The VA VA VOOM is made for great jibbing but the rest of the park and even the mountain isn’t in any way forbidden. You can butter and jib your heart out with the VA VA VOOM while still having a little something for the mountain if you want to switch it up. Turn Initiation and Carving– Another part of the pop game is a board’s ability to flex in and out of a turn which is minor for most park riding. This isn’t as important for a jib board but getting a little return out of your carve feels good and the VA VA VOOM is missing that. Still it’s easy to initiate quick short radius turns and its great for park riding. Speed: The VA VA VOOM was just fine at moderate speeds but that is about where the good times end. We thought the VA VA VOOM would just be average or even worse but it isn’t bad with a little moderate mountain speed. Approximate Weight– It felt light but sturdy. Jibbing– Probably the strong point of the VA VA VOOM. It has a lot of flat in the board it could almost be called a flat camber shape. This is great for jibbing. The VA VA VOOM is also very sturdy so it’s going to hold up pretty well to rail abuse. You can get pretty technical on this board in the jib park and it’s a really fun ride if that is what you are looking to mainly do. Jumps: Fun and springy on an Ollie. We found this pretty easy to ollie and very fun when lapping the lines of kickers in the park. We try to get as many images of the K2 Va Va Voom, but forgive us if they're not all there.